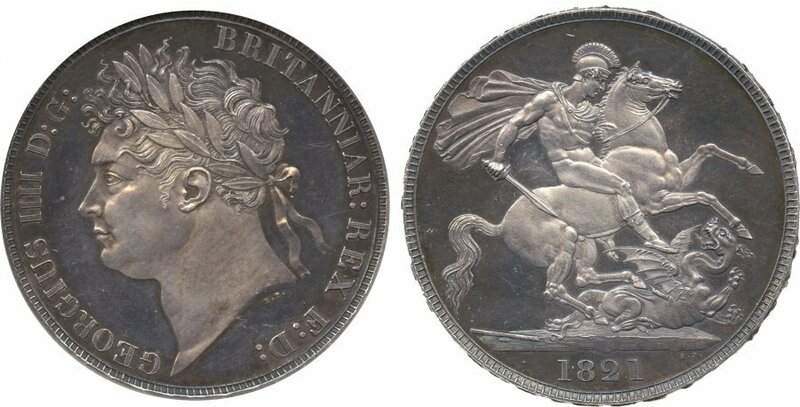 GROSSBRITANNIEN George IV. 1820-1830. Crown 1822. 28.27 g. S. 3805. Dav. 104. Starker Kratzer Rv. Vorzüglich. GROSSBRITANNIEN George IV. 1820-1830. Crown 1822. Randschrift mit SECUNDO. 28.29 g. S. 3805. Dav. 104. Attraktive Patina. Fast FDC. 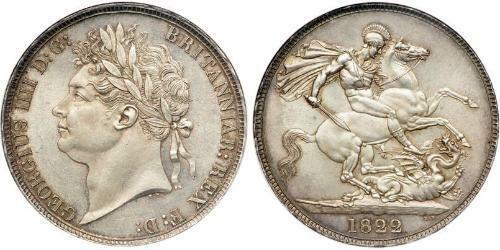 GEORGE IV, laureate head crown, 1822, Tertio (S.3805). 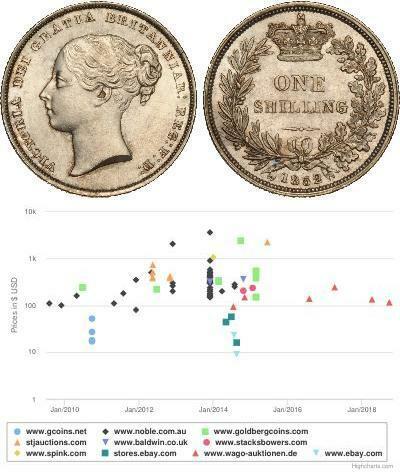 Attractively toned, a little wiped on obverse, extremely fine/good extremely fine. 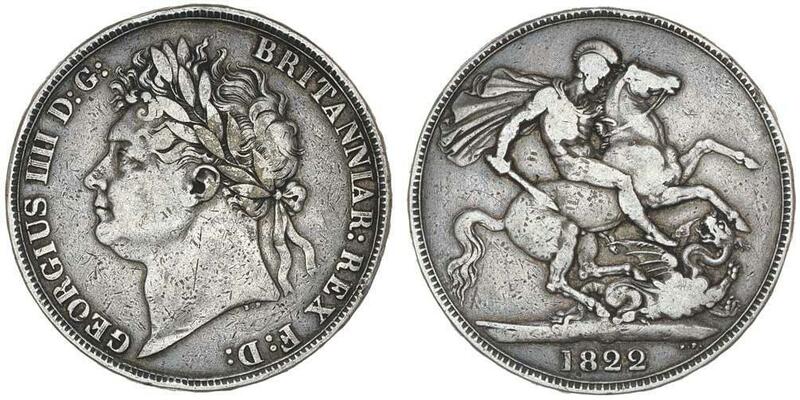 GEORGE IV, crown, 1822 tertio (S.3805, ESC 252). Steel blue peripheral tone, nearly extremely fine and scarce. 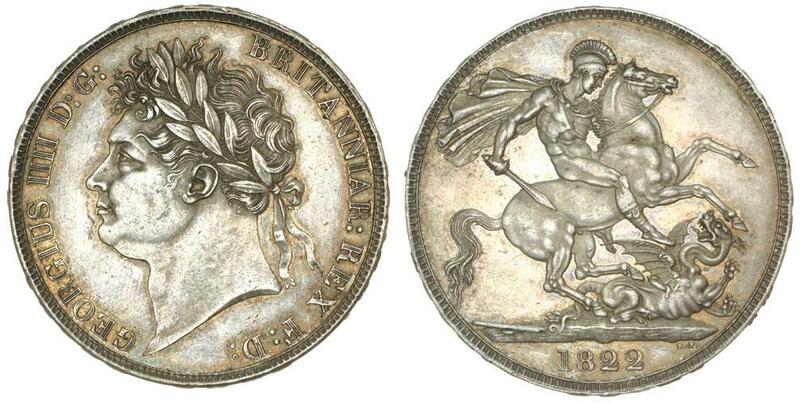 GEORGE IV, crown, 1821 secundo, laureate head, (S.3805, ESC 246). Minor edge knocks, otherwise extremely fine. 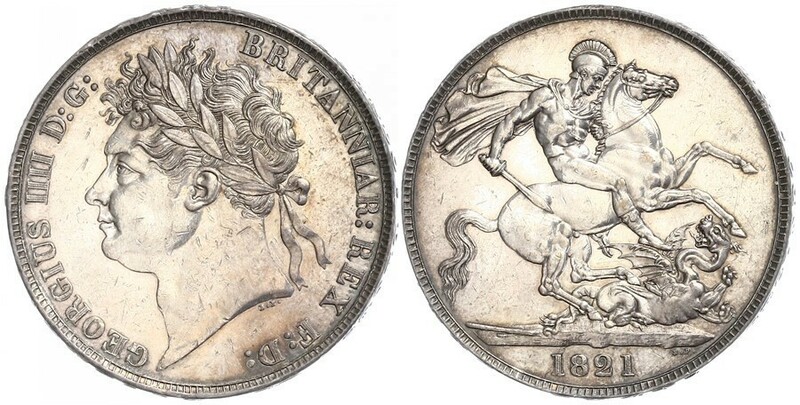 GEORGE IV, silver crown, 1821 secundo, laureate head (S.3805). Toned, good very fine. 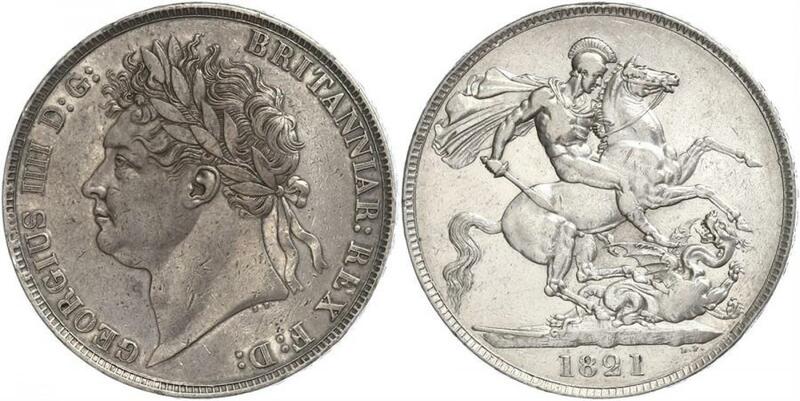 GEORGE IV, laureate head, silver crown 1822, Tertio (S.3805, ESC 252). Lightly toned, good extremely fine. 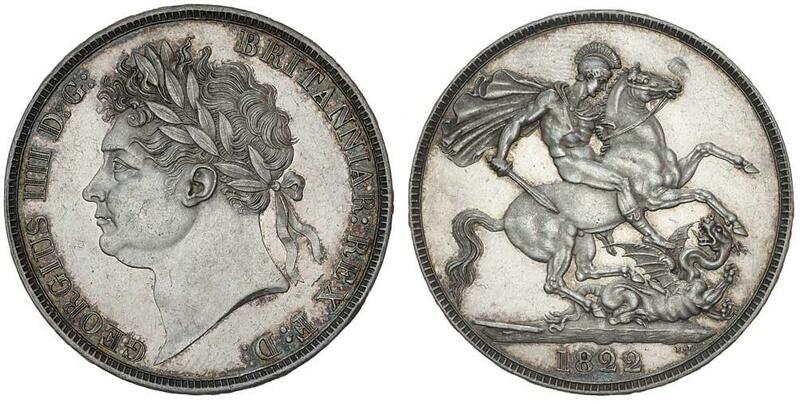 GEORGE IV, silver crown, 1821 Secundo (S.3805). Rim bruise at 4 o'clock on reverse, otherwise good very fine. 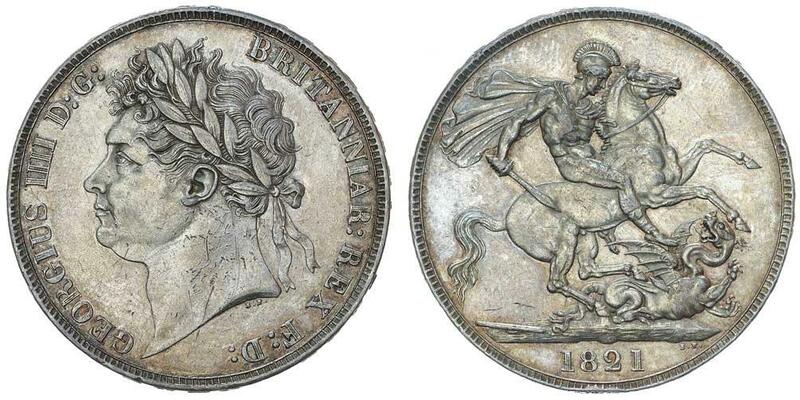 GEORGE IV, laureate head, silver crown, 1821 secundo (S.3805). Obverse surface marks, rim bruises, otherwise good very fine. 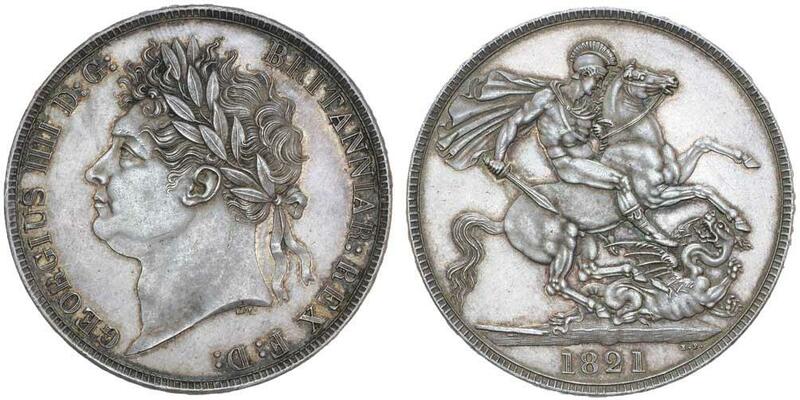 GEORGE IV, laureate head, silver crown, 1821 secundo (S.3805). Blue grey tone, extremely fine. 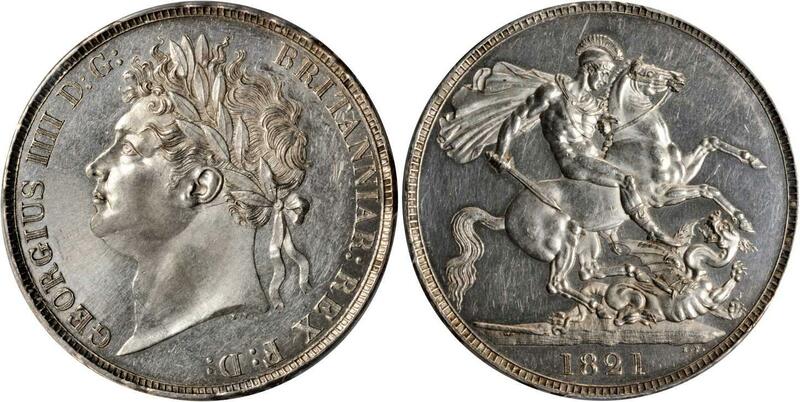 GEORGE IV, Laureate head, crown, 1822 tertio (S.3805). Toned, nearly very fine. 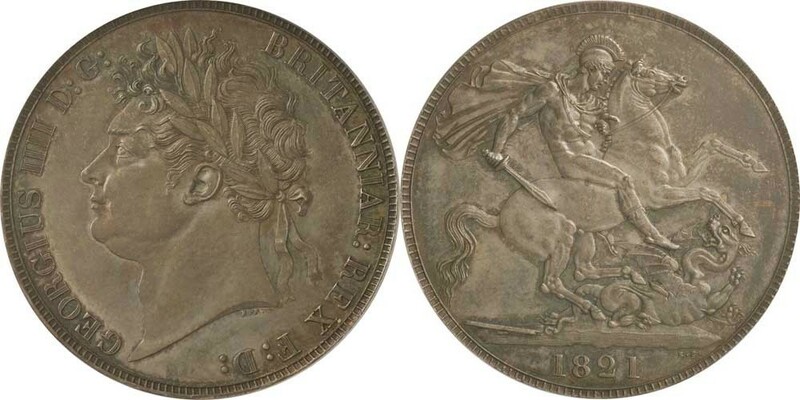 GEORGE IV, laureate head, crown, 1821 secundo (S.3805). Hairlines, sometime cleaned now retoned, otherwise good very fine. 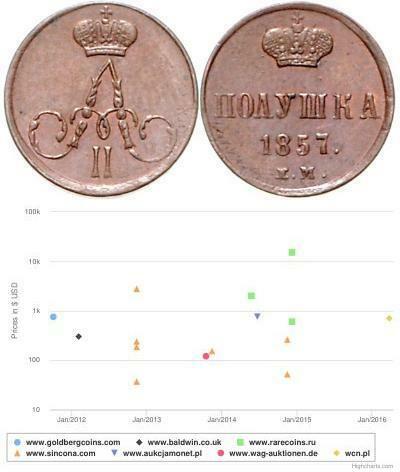 GEORGE IV, crown., 1822 tertio (S.3805). Nearly fine. 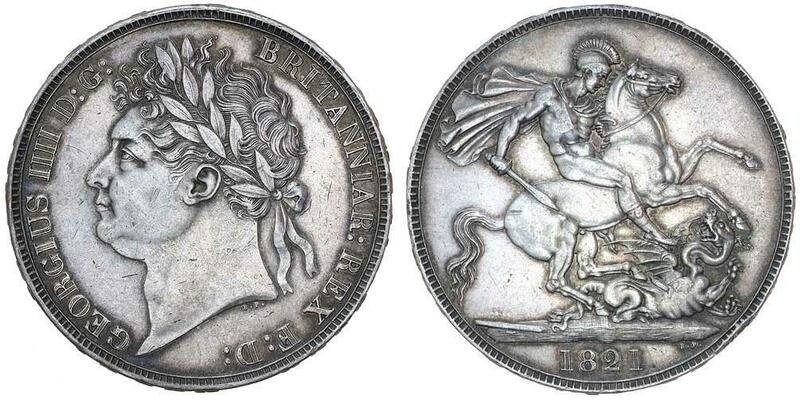 GEORGE IV, laureate head, crown, 1821 secundo (S.3805). Good extremely fine. 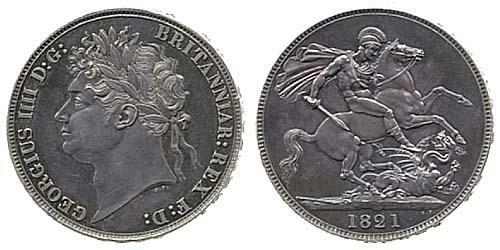 GEORGE IV, crown, laureate head left, 1821, secundo (S.3805). Good very fine. GREAT BRITAIN. 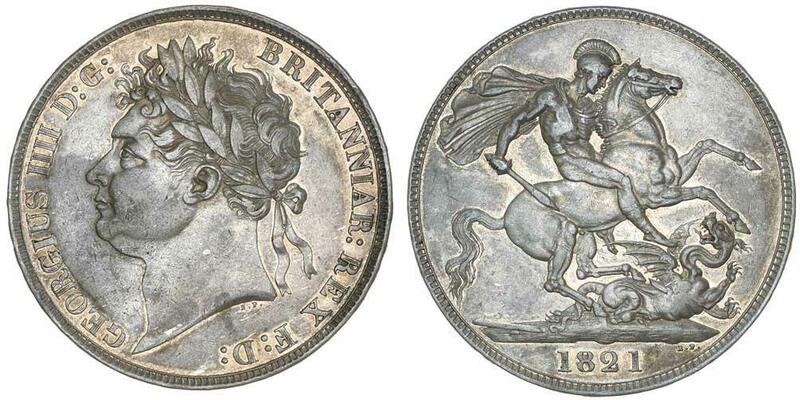 Crown, 1822. Dav-104; KM-690.1. Secundo on edge. George IV. Deeply toned. PCGS graded MS-63.